The silence was the most telling part of the whole meeting. The silence was intermittently punctured by the muttering of an occasional word. These words though, when they came, held the weight of a thousand. In this silence I could feel the presence of Waseam Barahem next to me throughout the meeting. Even when others were speaking I was conscious of his silence next to me. Just over three weeks ago, seventeen year old Waseam was struck in the head by a tear gas canister, nearly died and momentarily lost his ability to speak. Today he is only able to say a few words. His father, Abu Walid remembers the day painfully, “I saw it all, I saw the soldier aim directly at my child”. Accounts vary, but most report the soldiers being fifty to one hundred meters away. All accounts that I have heard agree that the soldiers were firing directly into the crowd. This is something I have seen too many times before and is something that the IDF’s own regulations prohibit. Waseam was struck directly on his head and suffered large amounts of internal bleeding. He was taken first to Nablus but then to a hospital in Jordan for a life saving operation. His father described to me the moments after the shooting, “At first I didn’t think it was serious, just some blood on his head. Then the man who works with the ambulance told me it was bad. I wanted to go through the olive trees [to avoid the Israeli flying checkpoint] because I was worried they would try to arrest Waseam [on the way to the hospital]. The man who works with the ambulance though told me we had to go straight through the checkpoint because we didn’t have time to go through the trees. The soldiers also knew it was serious because when we come they open the checkpoint for us. They telephoned ahead to the hospital because they knew every minute counted”. By any account Waseam is lucky to be alive. 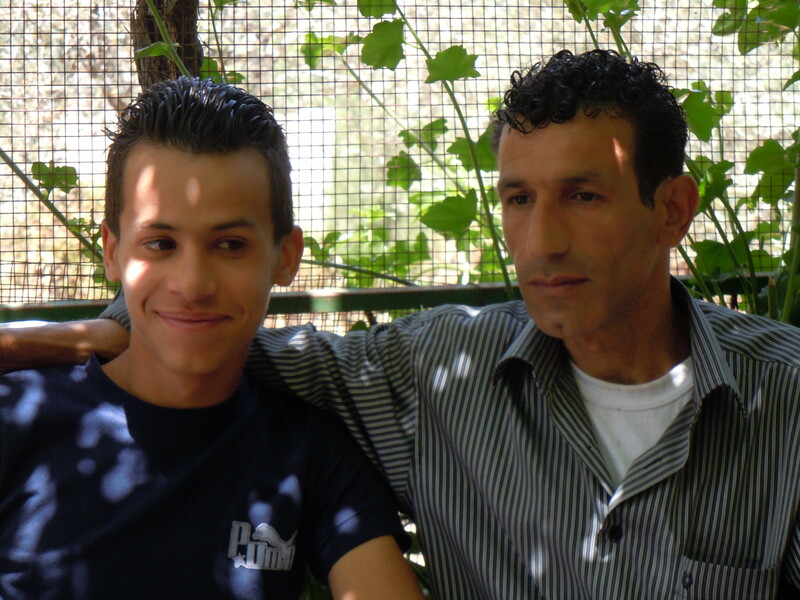 Less than six months ago Mustafa Tamimi died after being struck by a tear gas canister. It is a very real danger that both internationals and Palestinians face when they attend protests. Regardless of the dangers, the villagers of Kafr Qaddum continue to protest every Friday. I asked Waseam if he was worried about this coming Friday’s demonstration and the possibility of soldiers coming into the village. His answer was short but clear, “next Friday, I will go to the demonstration”. I looked at Waseam trying to read him, to distinguish the macho pride of a seventeen year old boy from what he was really feeling. Did he really not feel any fear after having such a close brush with death? I turned to his father and asked if he was happy with his son being on the streets during the demonstration. His answer was framed in the context of the impossibility of criticising anyone who is ‘opposing the occupation’. He half shrugged and said “I always knew he would protest”. I tried once more to frame a question in a way that would allow them to perhaps partly express their feelings. I asked Waseam if he was worried about his friends who go to the front of the demonstration. His silence stretched out for what felt like minutes before he finally replied, “I do worry about my friends”. His gaze fell to the floor and once again we were absorbed into his silence. The sound of scraping chairs marked the end of our meeting. I left wishing Waseam a full recovery and I asked him to promise to “stay safe”. It felt ridiculous saying these words considering the context. Living in Kafr Qaddum, even if you avoid the weekly demonstration, is anything but “staying safe”. A very powerful account Steve.